I go back to 2009 and it was once propositioned that we could turn to a possible hybrid formula in the future. At the time it was considered madness but it was decided that it was going to happen in 2013 as the year for change moving to a 2.0 litre normally aspirated v6 hybrid. This was postponed and ratified in 2011 that the changes will move to 2014 to go to a finalised 1.6 turbo hybrid unit. It eventually came to light that what we all thought was true, all the manufacturers bar Ferrari were going to eventually pull out if we didn’t go down this road. Mercedes primary reason to come back to F1 was because of this new hybrid era. Using 30% less fuel in 2014 than 2013 is a phenomenal achievement, all this while being no less than 3% slower than 2013, producing more horsepower and having up to 40% downforce less. Such great achievements have been made in 2014 and all where Bernie wants to go is to retreat back to the past where none of the teams are interested in going? Heading down this road is clearly proving that the old man is losing his marbles more every year, long may the hybrid era last and produce fantastic racing! 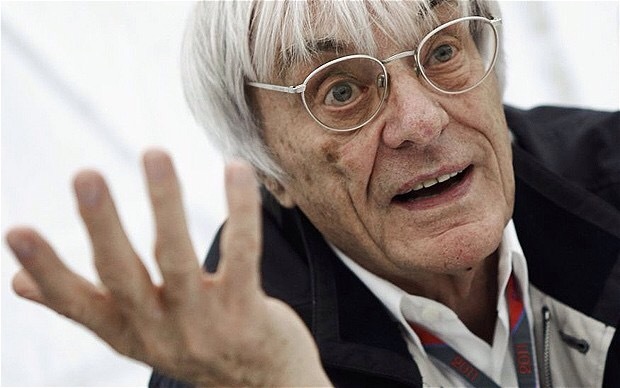 Posted in F1 2014, F1 2015, FIA, Formula 1, Technology and tagged Bernie Ecclestone, F1, Future, Hybrid, Madness. on December 12, 2014 by SteveCampF1.